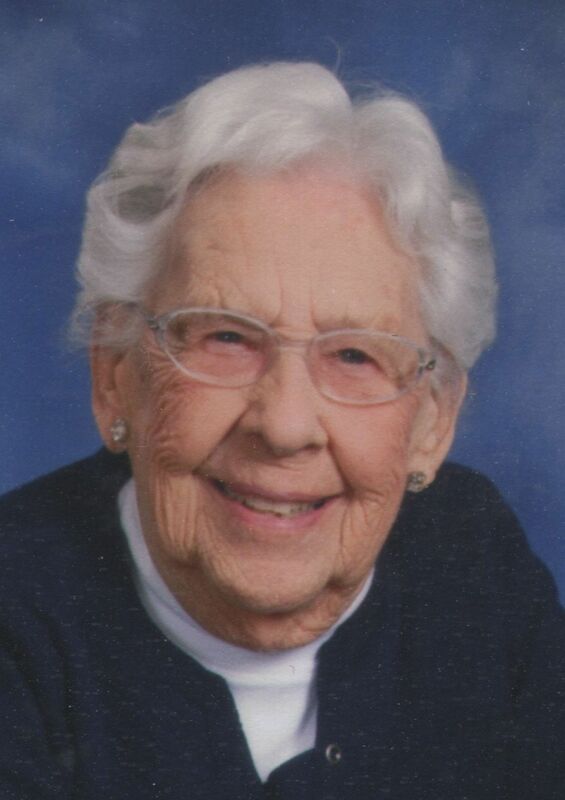 Marcella E. “Sally” Weber, 93, of Teutopolis, mother of a Heyworth resident, died Tuesday (July 26, 2016) at Heartland Christian Village, Neoga. Service: celebration of life Mass at 10:30 a.m. Monday at St. Francis of Assisi Catholic Church, Teutopolis. Visitation: 4 to 7 p.m. Sunday at the church, with a 6:30 p.m. rosary led by the St. Francis Council of Catholic Women. Burial: St. Francis Cemetery, Teutopolis. Johnson Funeral Home, Effingham, is handling arrangements. Memorials: Heartland Christian Village in Neoga, American Cancer Society or the donor’s choice. Survivors: sons, Ron (Evelyn) Weber, Collinsville, and Larry (Jan) Weber, Heyworth; daughters, Nancy (Doug) Deters, Sigel, and Bonnie (Bob) Schutz, White Hall; 13 grandchildren; and 15 great-grandchildren. Condolences may be left at www.johnsonandsonsth.com. Betty June Holleman, 89, of Clinton, passed away at 10:05 a.m. Tuesday (July 26, 2016) at her home. Her graveside service will be 11 a.m. Tuesday at Riverside Cemetery, Mahomet, with Greg Taylor officiating. There will be no visitation. Calvert Funeral Home, Clinton, is in charge of arrangements. Memorials may be directed to the Clinton Eagles Lodge. Betty was born June 19, 1927, in Champaign County, the daughter of Porter G. and Jessie Bell Reed Holleman. Survivors include her niece, Nancy (Rick) Deterts, Bloomington; great-nephew, Tim Miller, Bloomington; great-great niece, Tabitha (Danny) Mattocks, Bloomington; great-great nephew, Trevor Keeling, El Paso, Texas; great-great-great nieces, Kaylee and Paislee; great-great-great-nephews, Branson and Tanner; and sister-in-law, Frances Holleman, Clinton. She was preceded in death by her parents; brothers, Frank Reed Holleman and Lyman Dale Holleman; sister, Mary Wickenhauser; brother-in-law, Hurkless Wickenhauser; great-niece, Tina Keeling; and great-nephew, Terry Miller. Betty graduated from Kenney High School and worked at the Clinton China Co. for 30 years, retiring in 1979. She was a member of the Eagles Lodge, Clinton. She will be greatly missed by all who knew her. Mary Kathryn Warren Tomes, 66, of Boulder, Colo., formerly of Farmer City, died Saturday (July 23, 2016) in Aurora, Colo. Survivors: her children, Josh (Shauna) Tomes and Candida (Brian) Williams, both of Colorado; four grandchildren; and siblings, Buddy (Deborah) Warren, Monticello, and Dianne (Don) Kelley, Kalamazoo, Mich.
Condolences may be left at www.coloradocrematory.com. 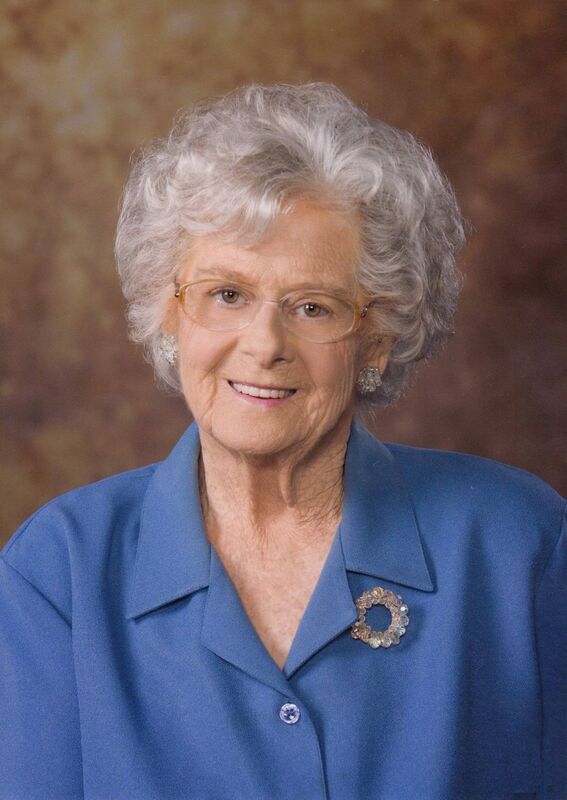 Mary Ann Edwards, 83, of Kenney, IL formerly of Decatur, passed away at 5:35 p.m., Tuesday, July 26, 2016, at Imboden Creek Living Center, surrounded by her family and loving nursing staff. Services to celebrate Mary Ann’s life will begin with a Vigil Prayer service at 3:30 p.m., Sunday, July 31, 2016, at Dawson & Wikoff North Chapel. Following the prayer service, the family will receive friends for visitation from 4:00 p.m. until 7:00 p.m. Sunday afternoon at the funeral home. A graveside service will be held at 10:00 a.m. Monday, August 1, 2016, at Macon County Memorial Park Cemetery, Harristown, with military honors provided by the Macon County Honor Guard and the US Army Honors Team. Memorials may be made to the American Diabetes Association. Messages of condolence may be sent to the family atwww.dawsonwikoff.com. Mary Ann was born August 4, 1932, in Auburn, New York the daughter of Cyriel and Marie (DeZutter) VanSpeybroeck. Mary Ann served in the US Army and was a Korean War veteran. She was a member of St. Thomas Catholic Church, a member of the American Legion Post #105, a member and former past president of the auxiliary for the Fraternal Order of Eagles, and enjoyed crafting. She married Burl A. Edwards on December 1, 1951. Surviving are her husband: Burl of Kenney; son: Richard Edwards and his wife Dawn of Divernon, IL; daughters: Laura Eble and her husband Mike of Oak Lawn, IL and Judy Buckles and her husband Ed of Decatur; nine grandchildren, five great grandchildren, and three great-great grandchildren also survive. Mary Ann was preceded in death by her parents, daughters: Carol and Theresa; son: Mike; sister: Judith; grandson: Jeffrey and granddaughter: Willow. 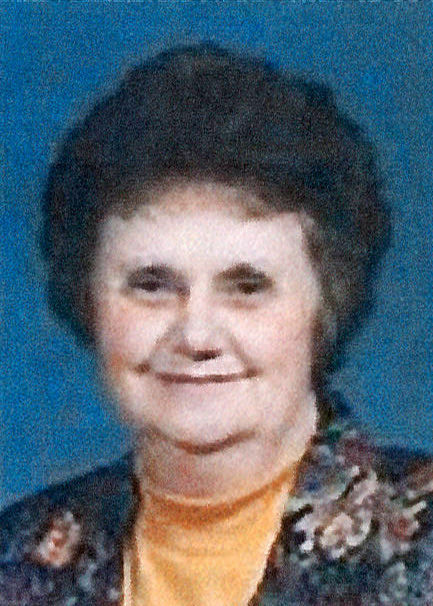 Dorothy Jean Tribbett, 78, of East Moline, IL, passed away July 24, 2016 at her home. Memorial Service will be at 10:00 a.m. on Thursday, July 28, 2016, at St. John’s Lutheran Church, East Moline, IL, Rev. Kent Umbarger will officiate. Dorothy was born September 10, 1937 in Weldon, IL, daughter of William E. (Sport) and Dorothy (Brown) Griswold. She married Ronald Floyd Tribbett on February 2, 1963 in Moline. They were divorced in 1991. Dorothy was raised near Argenta, went to Illinois State University, and lived in Moline and Albany, IL for about 20 years. She returned to Decatur in 1984. Later she moved to Moline to be near her sons. Dorothy worked as a secretary most of her life and retired from First United Methodist Church of Decatur in 1999. She was a member of St. John’s Lutheran Church. She was formerly blessed to be part of the Reach Prison Ministry teams that took Christ to the men and ladies in the Macon County Jail and Rock Island County Jail, Dwight Women’s Prison and the Decatur Women’s Prison. Surviving is her son and his wife, Brad and Pam Tribbett of Moline; daughter-in-law, Denise Tribbett of Bettendorf, IA; daughter, Roseann Higgins of Phoenix, AZ, and another daughter; brother, Mick Griswold and his wife, Joyce of Decatur; sister-in-law, Bonnie Griswold of Decatur; sister-in-law, Barbara Tribbett of Moline; grandchildren, Alex and Samantha Hansen of Moline, Tristina Lewis, Mason Wilson, Gabriel and Briggett Tribbett of Bettendorf, IA; niece, Lee Ann Dial and her children Thomas, Stephanie and Ashley. Her son, James (Jimmy) Michael Tribbett, parents, her brother, Robert Griswold, sister, Patricia Griswold, brothers-in-law, Ed, Mike and Bill Tribbett, sister-in-law, Teresa Tribbett, and her grandchild, Devon Michael Tribbett, preceded in death. 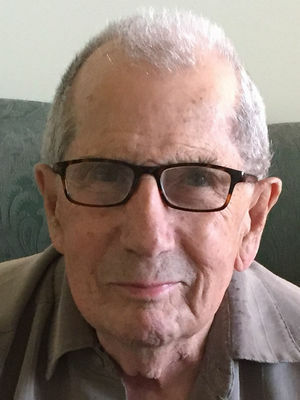 E. Clyde Foster, 86, of Monticello, passed away at 5:00 p.m., Sunday, July 24, 2016 at Carle Hospital, Urbana. Clyde was born on August 29, 1929 in Weldon, IL the son of Denny William and Clotha Ann (Bland) Foster. He married Mary Jane ‘Pete’ Dillow on August 20, 1955 in Clinton, IL. Clyde is survived by his wife, Mary Jane ‘Pete’ Foster of Monticello; children, Arnie (Rhonda) Foster of Glen Carbon, IL, Lori (Dave) Spicer of Monticello, Barry (Jan) Foster of Festus, MO; 9 grandchildren and 8 great-grandchildren. He was preceded in death by his parents, 6 brothers and 5 sisters. Clyde retired after 32 years as the Piatt County Treasurer and served in the U.S. Army Special Services. He was a member of the Deland Christian Church, a lifetime member of both the Hamm-Burke American Legion Post #101 and the Piatt County VFW Post #5346 along with serving in the Military Honor Guard. Clyde was the Democrat Precinct Committeeman, and was a charter member of the Jaycee’s and the Young Democrats of Piatt County. He was also a lifetime member of the Diehard Cubs Fan Club. Clyde was involved in Boy Scouts and he was the Little League Baseball Commissioner and a baseball coach for over 30 years. Clyde was also member of the 1960 General Cable State Champion Fast-Pitch Softball Team. Clyde proudly donated over 32 gallons of blood in his lifetime. Visitation will be held from 4:00-8:00 p.m., Thursday, July 28, 2016 at the Mackey-Wright Funeral Home. Funeral service will be held at 11:00 a.m., Friday, July 29, 2016 at the First Christian Church of Monticello with Rev. Danny Roberts officiating. Interment will be held in Monticello Township Cemetery. Memorial donations may be made to the Deland Christian Church. Rodney "Rod" James Hildebrands, 57, of Lincoln, formerly of Hartsburg, died Friday (July 22, 2016) at his home. Service: 10 a.m. Wednesday at Hartsburg United Methodist Church. Peasley Funeral Home, Lincoln, is in charge of arrangements. Visitation: 5 to 7 p.m. Tuesday at Hartsburg United Methodist Church, Hartsburg, with Pastor Tammy Werschey Kessinger officiating. Burial: following the service at Greenhill Cemetery, San Jose. Memorials: to the Humane Society of Logan County. Survivors: his mother, Eva Hildebrands; and his sisters, Cathy Shepler, Lincoln; Linda Ruder, Indianapolis, Ind. ; Kim Koehne, Lincoln; Connie (Bob) Hunter, Lincoln; Diane Harris, Lincoln; and Lisa (Jim) West, Atlanta. Edna Mae Reynolds, 99, of Clinton, formerly of DeWitt, passed away 2:35 p.m. Friday (July 22, 2016) at her home in Clinton. No services are planned at this time. Calvert Funeral Home, Clinton, assisted the family with cremation rites. Memorials may be directed to the DeWitt County Animal Shelter. Edna was born July 6, 1917, in DeWitt County, the daughter of William A. and Maude V. Allen Bell. She married Wilbur Reynolds on Nov. 27, 1936, in Decatur. He passed away on Feb. 9, 2003. Survivors include her son, Larry W. (Linda) Reynolds, Clinton; grandson, Rick Reynolds, Wapella; and stepgrandson, Jeff Barger, Clinton; as well as 11 great-grandchildren. She was preceded in death by her parents; grandson, Larry Reynolds Jr.; seven brothers; and one sister. Edna enjoyed making pies and giving them out to people. She was known as the "Pie Lady." Edna also enjoyed quilting and made one for every child, grandchild and great-grandchild. She was a cook at the Clinton Country Club. Edna was secretary and kept records for her husband’s cross-breed of Brahma and Milking Shorthorns, called Santa Gratotis, at Green Valley Farm. 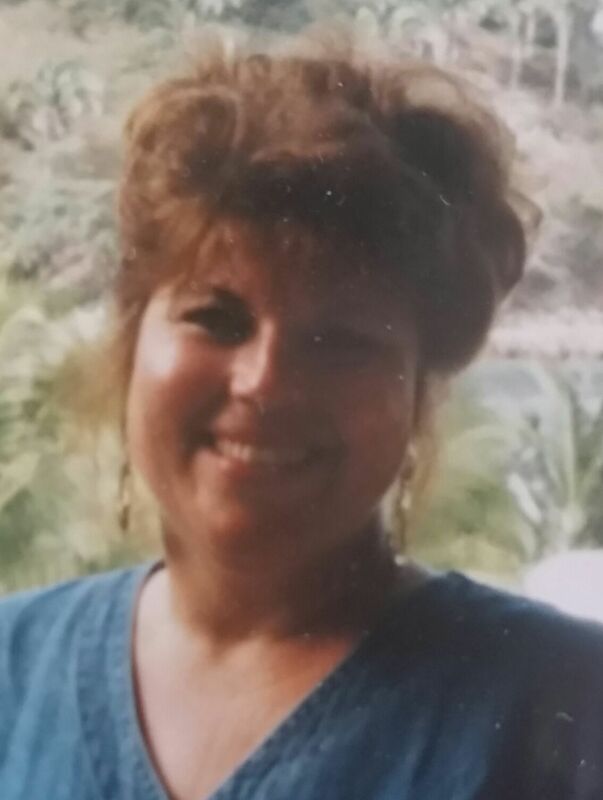 Judith Ann â€ŸJudy” McDavitt Weaver, 67, of Monticello, IL formerly of the Osman and Bellflower, IL area, passed away at 12:55 A.M., Friday, July 22, 2016 at Carle Foundation Hospital, Urbana, IL. A graveside memorial service will be held at 11:00 A.M., Wednesday, July 27, 2016 at Bellflower Township Cemetery, Bellflower IL with Pastor Louella Pence officiating. Following the graveside service, a Celebration Of Life gathering will be held from 1:00-3:00 P.M. at the Monticello Bowl, Monticello, IL. In lieu of flowers, memorials may be made to St. Jude’s Children’s Research Hospital in memory of Judith Ann Weaver. Calvert-Belangee-Bruce Funeral Home, Farmer City is in charge of arrangements. Judy was born August 24, 1948 in Urbana, IL a daughter of Donald Eugene and Gladys Margaret Schmall McDavitt. Survived by her brother, Daniel (Vicki) McDavitt of Farmer City, IL; several cousins; and the love of her life for the last 15 years, Michael Downey of Monticello, IL. Judy is preceded in death by her parents. Judy graduated from Bellflower High School class of 1966. She worked for 30 years as a secretary for Piatt County Service Company, working out of offices in Monticello, Mansfield, and Bement. She was a life member of Weight Watchers. Her hobbies include fishing, stock car and NASCAR racing, and minor league baseball games. Judy enjoyed spending quality time with the love of her life, Michael Downey. Hubert Dale Stoll, 90, a resident of Timber Creek Village, Lincoln, died at 2:36 p.m. Wednesday (July 20, 2016) in Lincoln. Service: 10 a.m. Monday at Zion Lutheran Church, Chestnut, with the Rev. David Dunlop officiating. Visitation: 2 to 5 p.m. Sunday at Zion Lutheran Church, Mount Pulaski. Memorials: Zion Lutheran Church of Chestnut, The Lutheran Hour or Mount Pulaski Zion Lutheran School. Fricke-Calvert-Schrader Funeral Home, Mount Pulaski, is handling arrangements. Survivors: his children, Dennis Stoll, Chestnut; Cheryl (Jim) Poffenbarger, Mount Pulaski; Klista (Raymond) Hegele, Springfield; Brenda (Allyn) Colantino, Springfield; Kenton (Marcia) Stoll, Chestnut; Kerwyn (Karen) Stoll, Mattoon; Deanna (Larry) Pratt, Cropsey; and Rodney Stoll, Savoy; sister, Aurelia Stoll, Mount Pulaski; 26 grandchildren; and 24 great-grandchildren. 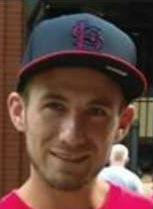 Nathan P. Sprague 31 of Clinton, IL passed away 6:49 PM July 19, 2016 at his family residence, Clinton, IL. Services will be 11 AM, Saturday, July 23, 2016 at the Clinton United Methodist Church with Rev. Leanne Noland and Rev. Stephen Killion officiating. Burial will follow in Mausoleum Park Cemetery, Clinton, IL. Visitation will be 9:30 – 11 AM at the church. Calvert Funeral Home, Clinton, IL is in charge of arrangements. Memorials may be directed to his children, Caleb and Dillan’s Education Fund. Nathan was born September 6, 1984 in Normal, IL the son of Rodger and Sally (Quinn) Sprague. Survivors include his parents, Rodger and Sally Sprague, Kenney, IL; children, Caleb Sprague, Clinton, IL and Dillan Sprague, Clinton, IL; sister, Elizabeth (David) Oschwald, New Berlin, IL; nieces, Mayah Strohkirch and Jaelie Strohkirch. He was preceded in death by his grandparents and sister, Allison Sprague. Nathan was an avid Cardinals fan. He worked at Petersburg Power Washing in Springfield, IL. 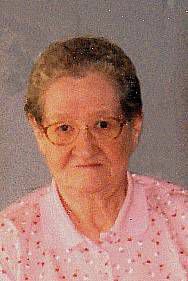 Shirley N. Beasley, 80, of Bement, IL., passed away at 5:20 P.M., on Saturday, July 16, 2016, at the Evergreen Nursing Home, Effingham, IL. Visitation will be held on Friday, July 22, 2016, from 11:00 A.M. until 12 Noon, at the Hinds Funeral Home, 348 N. Piatt St., Bement, IL. Graveside services will follow at 12 Noon on Friday, July 22, 2016, at the Bement Township Cemetery, Bement, IL. The Pastor Marsha Frederick will officiate. Memorial contributions can be made to the American Heart Association. 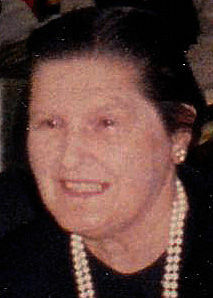 Shriley was born on November 19, 1935, in Monticello, IL., a daughter of Lawrence B. and Jessie G. Stewart Donaldson. She married Johnny Beasley on May 16, 1958, in DeLand, IL., and he survives of Bement, IL. Surviving are two sons; Mark (Sarah) Beasley of St. Elmo, IL., and Jim (Julie) Beasley of Clinton, IL. Also surviving are 6 grandchildren and 4 great-grandchildren, as well as a sister; Nancy M. (El Ray) Burton of Bement, IL. She was preceded in death by her parents, daughter; Debbie Beasley, and a son; John David Beasley. 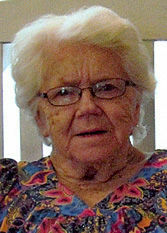 Shirley was a member of the Bement Lion's Club, Bement P.T.A, and loved to crotche and reading books. 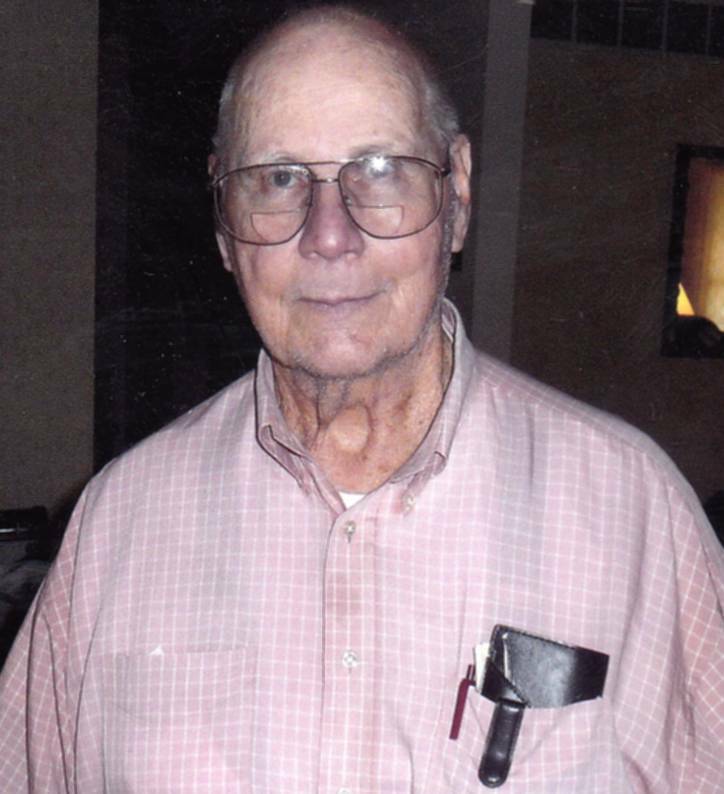 William N. “Bill” Davenport, 90 of Clinton, Illinois passed away 1:45 PM July 11, 2016 at his family residence. Services will be 11 AM, Friday, July 15, 2016 at the Calvert Funeral Home, Clinton, IL with J. Kent Hickerson officiating. Burial will follow at Memorial Park Cemetery, Clinton, IL with Military Honors. Visitation will be 10 – 11 AM, Friday at the funeral home. Bill was born March 6, 1926 in DeWitt County, Illinois the son of Floyd H. and Lois (Zarger) Davenport. Survivors include his sister, Annie Richardson, Modesto, CA; several nephews also survive including Dennis Davenport, Clinton, IL. Bill retired from the US Marine Corps after 20 years of service to his country. He enjoyed trap shooting. 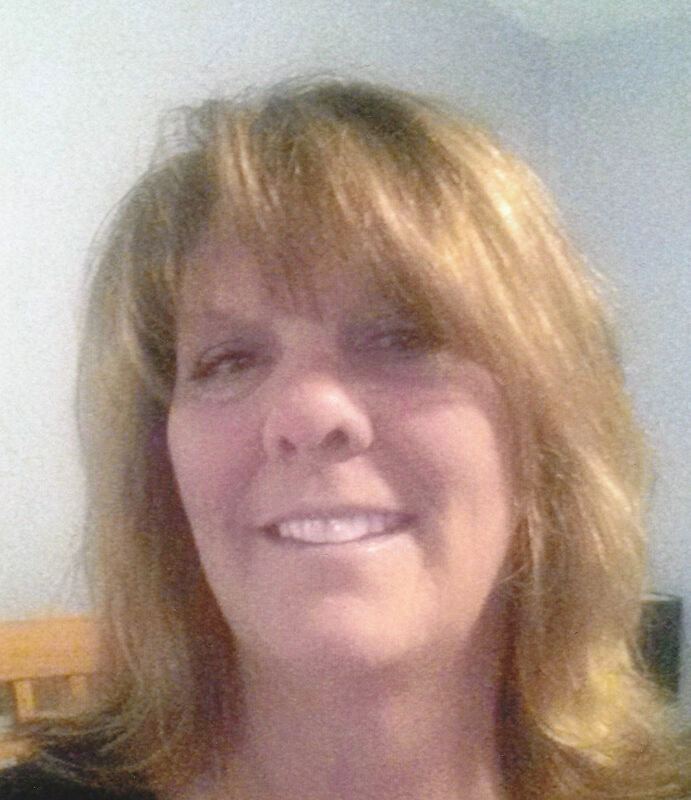 Debra Joyce “Debbie” Bentley, 51, of Heyworth, passed away at 9:45 a.m. Saturday (July 9, 2016) at her residence. Her graveside service will be at 3 p.m. Thursday at Gates Cemetery, Gates, Tenn. The Rev. Steve Evans will officiate. Visitation will be from 4 to 7 p.m. Wednesday at Calvert & Metzler Memorial Home, Bloomington. The family suggests memorials be made to the American Heart Association, or a charity of the donor’s choice. Debbie was born Dec. 14, 1964, in Bloomington, the daughter of Jimmy David and Peggy Joyce Thurmond Bentley. Surviving are her parents, Jimmy David and Peggy Joyce Bentley, Bloomington; one daughter, Stevie (Jamie) Tillman, Normal; fiancé, Randy Lee, Heyworth; one brother, Greg (Becky) Bentley, Bloomington; niece and nephew, Justin David (Megan) Bentley, Mansfield, and Danielle Jean Bentley, Peoria; one great-niece, Graysen Lynn Bentley, Mansfield; special family members, Dallas Lee, Heyworth; Brandi Lee, Charleston, S.C.; and Tammy (Ginny Viol) Lee, East Peoria. Debbie is preceded in death by her sister, Janet Leigh Bentley. Debbie had been working at State Farm for the past 34 years. She and Randy enjoyed camping and boating. She was a loving daughter, mother, sister and aunt and best friend. She will be missed by all who knew her. Betty Lou Cooper, 89, of Weldon, passed away 6:25 p.m. Friday (July 8, 2016) at Manor Court, Clinton. The first child of Homer and Louise Cahill Short, Betty was born March 29, 1927, at her parents’ home in Wapella Township. Her service will be at 11 a.m. Thursday at Calvert Funeral Home, Clinton, with J. Kent Hickerson officiating. Burial will follow at Mausoleum Park Cemetery, Clinton. Visitation will be from 9:30 to 11 a.m. Thursday at the funeral home. Memorials may be directed to the First Christian Church, Clinton. Betty had a wonderful childhood growing up on her parent’s farm which was located across the road from her doting grandparents. A lifelong learner, Betty loved attending school at Progress Country School where she enjoyed helping the teacher with the younger students and was a county competitor in spelling contests. She attended Wapella High School where she played her clarinet, sang with various ensembles and was the valedictorian of her graduating class. After high school, Betty attended beauty school and owned a beauty shop in Heyworth. On May 19, 1946, Betty married her high school sweetheart, Arthur E. Cooper, son of Dewey and Nellie Torbert Cooper, at Birkbeck Methodist Church in Birkbeck. Betty and Art moved to a home east of Wapella where they embarked on a lifetime of farming in DeWitt and McLean counties. They recently celebrated their 70th wedding anniversary. Betty and Art are the parents of one daughter, Cynthia Brown, Iowa Falls, Iowa, and one son, Bruce (Bonny) Cooper, rural Clinton. Betty enjoyed attending and working in the Wapella Christian Church where she taught a Sunday school class for 20 years and established the church library. After the devastating tornado of 1968, Art and Betty moved to Weldon, and attended First Christian Church in Clinton. Reading, performing and listening to music and traveling were some of Betty’s special interests. Betty had a natural talent for playing the piano by ear. It was a family tradition to take an annual car trip when the children lived at home. Later, Art and Betty traveled to western and northern Europe, Canada, Mexico, Australia and New Zealand. They especially liked Hawaii. They spent over 20 winters in Sanibel, Fla., where they were often joined by their siblings. Betty especially enjoyed entertaining and traveling with her grandchildren and nieces and nephews. When the grandchildren stayed with her, they looked forward to her daily adventures. She and Art took their grandchildren to Colorado, the Pacific Ocean, and the World's Fair in Seattle and Tennessee. Betty is survived by her husband; children; sister, Lois (Merwin) Sutter, Heyworth; brothers, Don (Alicia) Short, Clinton, and Paul (Deb) Short, Lincoln; and sisters-in-law, Ruth Stone, Ponca City, Okla., and Bea Cooper, Media, Pa.
Betty was the grandmother of eight, Matthew (Brooke) Cooper, Clinton; Betsy (Travis) Hoffman, Maroa; Michael (Megan) Cooper, Las Vegas, Nev.; Timothy (Christy) Brown, New Haven, Conn.; Dana (Melinda) Brown, Austin, Texas; Jeremy Brown, Iowa Falls, Iowa; Kendra (Jason) Holland, Montara, Calif.; and Lindsay Brown, Pacifica, Calif.
She had 10 great-grandchildren, Cole Hoffman, Zion Hoffman, Jaxon Cooper, Wrigley Cooper, Owen Hunt, Fletcher Hunt, Harrison Holland, Elin Holland, Aubrey Cooper and Aurora Cooper. Larry Eugene Higgins, 73, of Champaign, passed away Wednesday, July 6, 2016 at the University of Illinois Hospital, Chicago. Larry was born on January 13, 1943 in Champaign the son of Charles and Ruby (Allen) Higgins. He married Rhonda Kay Birley on May 14, 1993 in Urbana. She passed away on February 3, 2009. Larry is survived by his granddaughters, Heather Stone of White Heath, Brittany Owen of Monticello, Melissa Stone of White Heath; great granddaughters, Kenzie, Kennedi, and Kenley; sisters Donna Alexander of White Heath, Annalee Whitlow of High Point, NC; and fiancée, Sharon Fitzwater of Champaign. He was preceded in death by his parents and daughter Lisa Stone. Larry retired from Kraft Foods, Inc. and then worked at the State Farm Center. Larry was a National Officer of the National Corvette Association and a member of the Rolling Prairie Corvette Club in Decatur. Larry’s hobbies included fishing, white water rafting, wood working, and racing corvettes. A visitation will be held from 5:00-8:00 p.m., Tuesday, July 12, 2016 at the Mackey-Wright Funeral Home, Monticello. A funeral service will be held at 10:00 a.m., Wednesday, July 13, 2016 at the Mackey-Wright Funeral Home, Monticello. Interment will be held in Grandview Memorial Gardens, Champaign. Memorial donations may be made to the American Heart Association or the American Cancer Society. Glenda Doris North 88 of Clinton, Illinois passed away 8:03 AM July 7, 2016 at Advocate BroMenn Regional Medical Center, Normal, IL. Services will be 10:30 A.M. Monday, July 11, 2016 at First Church of the Nazarene, Clinton, IL with Rev. Michael Taylor officiating. Burial will follow at Mausoleum Park Cemetery, Clinton, IL. Visitation will be 6 – 8 P.M. Sunday, July 10, 2016 at Calvert Funeral Home, Clinton, IL. Memorials may be directed to the Glenda Doris North Memorial Fund. Glenda was born March 30, 1928 in Wheatcroft, KY the daughter of Henry “H.T.” and Vera (Baird) Hearon. She married William I. “Bill” North January 31, 1947 in Clinton, IL. Survivors include her husband: William I. “Bill” North, Clinton, IL; daughter: Beth Wade, Maroa, IL; grandchildren: Brandon S. Thomas, Chandler, AZ, George Brown, Goodyear, AZ, Melinda Brown, Clinton, IL, Katlin Willis, Maroa, IL and Kendall Owen, Purdy, WA, along with 4 great grandchildren; siblings: Patsy R. Hilliard, Franklin, TN, Wesley H. (Judy) Hearon, The Villages, FL and Brenda J. (Chet) Hearon, Gladwin, MI. She was preceded in death by her parents, 1 daughter: Christy North-Owen, 1 granddaughter: Brooke R. Thomas and 1 sister: Shirley M. Clanton. Glenda was a member of the First Church of The Nazarene in Clinton, IL for 68 years, choir director for over 40 years and a Sunday School Teacher. Also she was active in the community choirs and gospel sings. She was an avid Cardinals fan. Harriet Jane Obitts, 93, of Lincoln, died at 10:56 a.m. Tuesday (July 5, 2016) at Advocate BroMenn Medical Center, Normal. Service: noon Saturday at Zion Cemetery, Lincoln, with burial following. Memorials: American Cancer Society or Beason Methodist Church. Survivors: four sons, James R. (Rosemary) Parker, LeRoy; Ronald E. (Linda) Parker; William D. (Gloria) Parker; and Charles L. Parker; two daughters, Janice E. Parker and Virginia Ann (Dennis) Davis, all of Lincoln; one brother, James B. Trowbridge, Beason; 10 grandchildren; and several great-grandchildren. 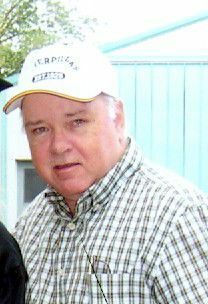 Richard E. Defebaugh, 76, of Clinton, passed away at 1:03 p.m. Sunday (July 3, 2016) at his family residence, Clinton. A celebration of Richard’s life will be at 10 a.m. Saturday at Calvert Funeral Home, Clinton, with J. Kent Hickerson officiating. There will be no visitation. Memorials may be directed to American Diabetes Association or American Parkinson’s Disease Association. Richard was born May 5, 1940, in Clinton, the son of Harold and Florence Burdine Defebaugh. He married Edith Rae Vass; she passed away Feb. 2, 1988. Survivors include his children, Paul Defebaugh, Clinton; Dave (Debbie) Defebaugh, Sherman; and Mark Defebaugh, Clinton; grandchildren: Tatum and Tessa Defebaugh, Clinton; siblings, Robert (Helen) Defebaugh, Clinton; James (Betty) Defebaugh, Clinton; Leona (Harold) Jones, Clinton; Jerry (Rhonda) Defebaugh, DeWitt; and Avis (Bill) Egleston, Auburn, Wash. He was preceded in death by his parents; one son, Steven M. Defebaugh; and one sister, Edith Hamilton. Richard was a pipefitter for Local 597, and enjoyed woodworking and fishing. The family would like to extend a special thank-you to the OSF Hospice Center for their loving care throughout Richard’s illness. Gertrude Catherine “Kate” Updyke, 94, of Wapella, formerly of Wyoming, passed away at 12:10 a.m. Sunday (July 3, 2016) at Heritage Health, Normal. 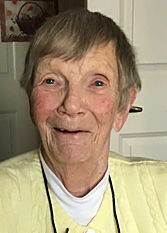 "Kate," as she was known by all her friends and family, was born Sept. 11, 1921, in Stark County, the daughter of Thomas L. Colgan and Emma E. VanOoteghem. She married Ernest Updyke on July 15, 1941, in Wyoming. He preceded her in death on July 18, 1982. Surviving are her two children, Thomas M. (Vicki L.) Updyke, Kickapoo, and Carolyn J. (Gary D.) Weakly, Wapella; six grandchildren, Stephanie L. (John C.) Baysingar, Stephen P. (Kelley A.) Updyke, Shane M. (Tammie R.) Updyke and Sean P. (Traci L.) Updyke, all of Brimfield; Andrea L. (Mark A.) Tilford, Normal; and Brian D. Weakly, Wapella; 12 great-grandchildren; her sister, Alice M. Magnussen, Bradford; and several nieces and nephews. She was preceded in death by her parents; a brother, Timothy B. “Bud” Colgan; and a sister, Dorothy J. Williams. Kate worked for many years at Fry’s Variety Store in Wyoming. 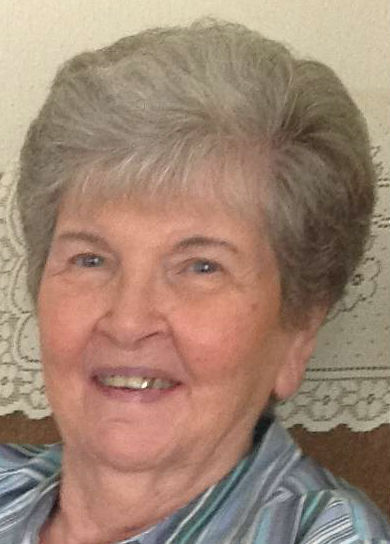 She was a member of the Wyoming American Legion Women’s Auxiliary and the Stark County Home Extension, as well as a member of St. Patrick’s Catholic Church, Altar & Rosary in Wapella. She was a former member of the Altar & Rosary at St. Dominic Catholic Church, Wyoming. A funeral Mass will be at 10 a.m. on Thursday at St. Dominic Catholic Church, Wyoming. Father John Cyr will officiate. A visitation will be from 4:30 to 6:30 p.m. on Wednesday at Haskell-Hott Funeral Homes, Wyoming, with recitation of the rosary immediately following. Burial will be in St. Dominic’s Cemetery, Wyoming. Memorial contributions may be made to St. Dominic Catholic Church, Wyoming Fire Department, Stark County Ambulance or the Prader-Willi Syndrome Association. The family would like to thank the staff at OSF Hospice Bloomington for the loving care their mother received. Condolences may be left for Kate’s family on her tribute wall atwww.haskellhott.com. Haskell-Hott Funeral Homes, Wyoming, is in charge of arrangements. 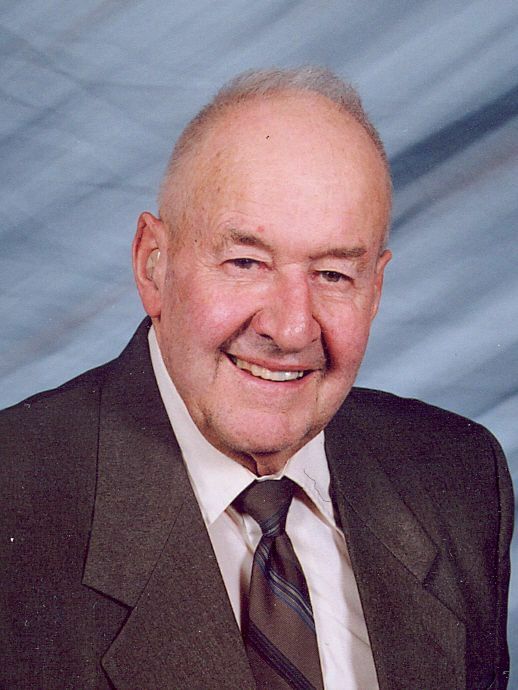 Gerald L. “Gerry” Clark, 84 of Monticello, IL., passed away at 12:30 A.M., on Sunday, June 26, 2016, at the Piatt County Nursing Home, Monticello, IL. Funeral mass will be held at 11:00 A.M., on Tuesday, July 5, 2016, at the St. Michael's Catholic Church, Bement, IL. Visitation will be held from 10:00 A.M. until time of services on Tuesday also at the church. Rev. Father Bruce Lopez will officiate. Burial with Military rites will be given by the Albert Parker American Legion Post #620 of Bement in the St. Joseph's Catholic Cemetery, Ivesdale, IL. Memorial contributions can be made to the Albert Parker American Legion Post #620, 449 E. Bowyer St., Bement. 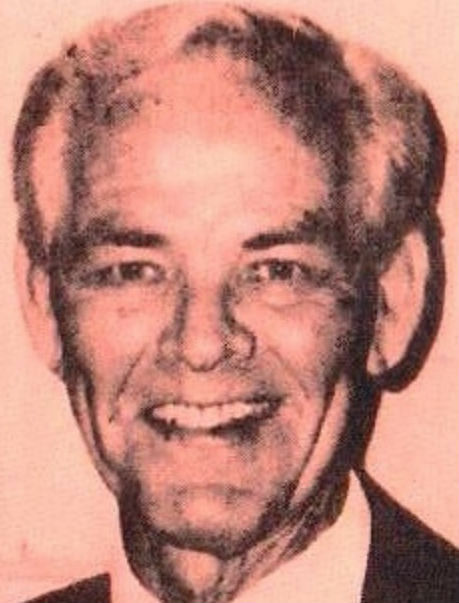 Gerry was born on February 28, 1932 in Decatur, IL., a son of Tim and Irene Tynan Clark. Gerry was a proud Navy veteran serving on the USS Coral Sea. He worked at USI in Tuscola for many years, enjoyed military history and was a avid St. Louis Cardinal fan. He was a member of the St. Michael's Catholic Church in Bement. Gerry had lived in Tuscola, Bement and Monticello, IL. He is survived by a sister, Shirley Clark Grady of Champaign, two nieces, Cindy Grady Clark and Nancy Grady Sullivan, both of Champaign, two nephews, Clark Grady of Peublo, CA. and Greg Grady of Monticello. He is also survived by Great Nephews and Nieces, Adam Clark of Savoy, Katy Grady of Champaign, Tim Clark of Champaign, Emily Grady of Champaign, Bethany Sullivan Heavener and Whitney Sullivan, both of Chicago. He is also survived by Great Grand Nieces, Leighton and Emerson Clark of Savoy and Great Grand Nephew, Vance Whalen of Round Rock, TX. He was preceded in death by his parents, and 2 brothers. Aaron and Susie Hinds of Hinds Funeral Home, Bement, have the honor to serve the family of Gerald L. “Gerry” Clark. James Edward Saulsberry, Sr. 86, of Lincoln, passed away Thursday, June 30, 2016 at his home, surrounded by his family. James was born December 2, 1929, in Dunham, Kentucky to Joseph and Mary B. (Blanton) Saulsberry. He loved the Chicago Cubs and was hoping to see them finally win the World Series this year. James was fondly known by his children as “Sparky”. He is survived by three children, James Saulsberry, Jr. of Mt. Pulaski, Michael (Jill) Saulsberry of Woodbridge, Connecticut and Pamela (Santos) Zayas of Mt. Pulaski; four grandchildren, Stasha (Steven) Brown, James (Brittany) Saulsberry, Alejandro Zayas and Leah Saulsberry; one brother, Frank (Dottie) Saulsberry of Knoxville, Tennessee and one sister, Glenda Obzut of Taylorville. Honoring James Saulsberry’s wishes cremation services will be provided by Graceland/Fairlawn Crematory. The family will provide a memorial graveside service at a later date. Memorials may be directed to St. Jude Children’s Research Hospital 501 St Jude Place, Memphis, TN 38105. The family of James Saulsberry, Sr. is being served by Graceland/Fairlawn Funeral Home, 2091 N. Oakland Avenue, Decatur, IL. 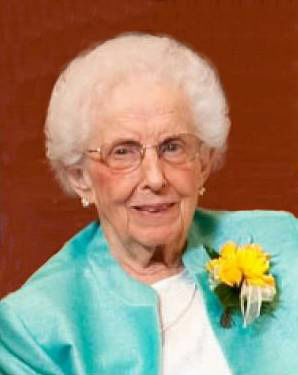 View the online obituary and send condolences to the family at www.gracelandfairlawn.com. Edna M. “Eddie” Camp, 91, of Lincoln, died Wednesday (June 29, 2016) at Castle Manor, Lincoln. Service: 10:30 a.m. Wednesday at First United Methodist Church, Lincoln, with the Rev. Michael Paulson officiating. Visitation: 9:30 to 10:30 a.m. Wednesday at the church. Burial: 2 p.m. Wednesday at Camp Butler National Cemetery, Springfield. Fricke-Calvert-Schrader Funeral Home, Lincoln, is in charge of arrangements. Survivors: son, Terry (Andee) Camp, Jacksonville, Fla.; daughter, Cathy I. (Mike Parquette) Spanton, Las Vegas, Nev.; two grandchildren; five great-grandchildren; brothers, Gordon King and Earl Ruebenking; and sister, Doris Hopper. Memorials: to Abraham Lincoln Memorial Hospital Auxiliary. 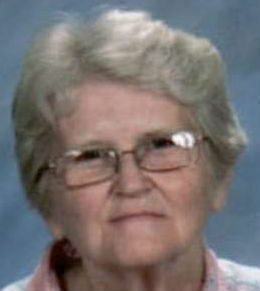 Mary Ellen Crutchfield, 75, died Tuesday, June 28 at her daughter's home after a long illness. Preceding her in death are her parents, Earl and Syrada Hathaway, daughter Deborah Ann Tanko, and brother David Lee Hathaway. She leaves behind daughter Kim Elizabeth (Jeffrey) Reynolds, Greensea, SC. ; son David Alan (Cathy) DeHaven, Greer, SC. 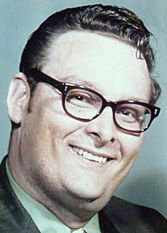 ; brother Dwight (Elaine) Hathaway, Decatur, IL. ; sister Joyce Sweeney, Lincoln, IL. ; grandson Bradley Harris, Little River, SC. ; granddaughter Skyler Reynolds, Greensea, SC., granddaughter Casey Jo DeHaven, Greer, SC., and grandson Dylan DeHaven, Greer, SC., and numerous nieces and nephews. Services private. Myrtle Beach Funeral Home, Myrtle Beach, SC. Mildred L. Burns, 98, of Clinton, passed away at 11:20 a.m. Monday (June 27, 2016) at Manor Court, Clinton. Her service will be at 2 p.m. Friday at Calvert Funeral Home, Clinton, with J. Kent Hickerson officiating. Burial will follow at Mausoleum Park Cemetery, Clinton. Visitation will be from 1 to 2 p.m. Friday at the funeral home. Memorials may be directed to the DeWitt County 4-H Foundation. Mildred was born Dec. 25, 1917, in Clinton, the daughter of Frank and Florence Anderson Mills. She married Dennis James Burns on Nov. 13, 1941, in Clinton. He passed away June 21, 1987. Survivors include her children, James M. (Michelle) Burns, Clinton, and Paul D. (Joan) Burns, Springfield; three grandchildren, Chad (Andre`a) Burns, Decatur; Stacey Benson, Oakley; and Jennifer (Andrew) Shull, Marion, Iowa; five great-grandchildren, Blaine Burns, James Dean Benson, Audrey Burns, Cooper Benson and Addison Grace Shull; and brother, Darrell (Mary Lou) Mills, Clinton. She was preceded in death by her parents; one brother, Bernard Mills; and four sisters, Opal Miller, Hazel Smith, Alma Burns and Nellie Louise Smith. Mildred and her husband farmed all of their lives. She was a member of the DeWitt County Home Extension. She loved to bake and play cards. 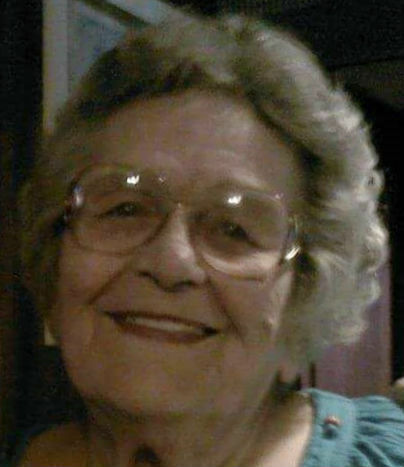 The Earth slowed to allow angel Sara Margaret Nowlin Brown, of Benton, Ky., to reunite with her husband, James T. Brown; her son, Jay; and her sister, Pat Fuller, in Heaven. Sara was a devote Christian of the Methodist faith and was a sister of Kappa Delta. Survivors include four sons, Bob and wife, Debbie; Randy and wife, Tammy; Don and wife, Sharon; and Kenneth; six grandchildren; four great-grandchildren, and her cat, Dusty. Private family visitation will be Thursday at the Filbeck-Cann & King Funeral Home, Benton, Ky. Inurnment will be at a later date in Acacia Cemetery, Chicago. Memorial contributions may be made to the Nowlin Scholarship Fund, c/o Farmer City United Methodist Church, 101 S. Williams, Farmer City, IL 61842. Condolences may be sent at www.filbeckcannking.com.